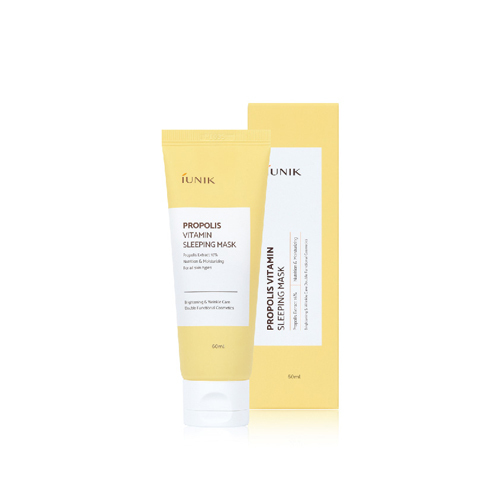 This sleeping mask is formulated with 16% propolis, 8% hippophae rhamnoides, and 5% centella that deliver intense moisture. It is cream-type mask containing rich vitamins and nutrients. It quickly absorbs into the skin to brighten and strengthen the skin while improving elasticity. At the last step of skincare, Take an appropriate amount of cream, and apply it over face.